Over the weekend we had an interesting dilemma at work. A family came for a riding day. This usually involves a couple of hours riding in the morning followed by lunch and then a ride in the afternoon. I wasn’t involved with the meeting and greeting as I was teaching in the arena, but as I returned to the yard I passed the school in which they were having their lead rein lesson. They weren’t wearing hats. I was surprised that our old-school instructor had let this pass as she’s a stickler for health and safety, but I could see they were wearing turbans. Over lunch I was talking to the instructor about the turban and riding. This family were Sikh and never put anything on their head, except obviously the turban. I can vaguely remember learning this at school, but I started to wonder where the insurance stood in all this. Yes, you have to accept everyone’s beliefs and religions, but does letting someone ride without a helmet due to religious beliefs cause your insurance to be invalid? And what sort of example does this set to children? Should you get the client to sign a disclaimer, relieving you of all responsibility for their head? And does it change how you as an instructor teach and treat them? For example, if you are teaching a beginner would you be more inclined to leave them on the lead rein for longer than necessary rather than allow them onto try walking around the arena on their own at the end of the lesson? Are you more reluctant to take them in the woods on hacks, for fear of them knocking their head on a low branch? I’ve done my research and the law accepts that the turban provides head protection, and the employment law exempts Sikhs from wearing safety hats on construction sites, and motorcycle helmets. From this, I can only deduce that by not allowing such clients to ride would be breaking the law, it would be discrimination but also in breach of the law that exempts Sikhs from wearing safety hats. I’m not sure I would find it easy trying to teach when there is that constant nag in the back of my head. My colleague did the right thing, I think, by keeping her clients on the lead rein with senior members of staff, and informing the Big Boss of the situation beforehand so that she was not responsible for the decision about riding to go ahead. I guess the Big Boss has read the insurance policy closely and that there is a note in there about similar situations, and is happy that the insurance is still valid and that the client is participating at their own risk. I’d never thought about this before, but it is an important aspect to remember so that I don’t offend anyone or cause myself professional injury. Thanks for sharing. Very interesting. My insurance does not have such a clause in place for these instances. It is very clear that “a minor child MUST wear a helmet while mounted”. I am also subject to the rules of the Riding Club where my training business is located. Their rules also do not accommodate or consider this unique situation and require helmets for minors. I also am not allowed to conduct business on the property without being insured. I suppose this creates quite the mess if I were to encounter it. And Yes, I feel like I would be constantly worried about taking them off the lead etc etc. Yes I don’t think I’d like to have been in my big boss’s shoes and making that decision. Where are you located? Less serious, but still interesting, is the predicament in which the extremely orthodox Christian girls find themselves in. 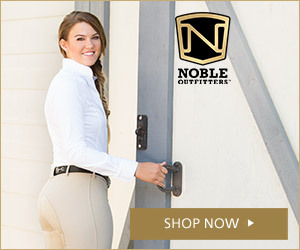 Some parents frown upon the skin-tight jodhpurs, and while there are culottes for casual riding, this leaves the girls in quite a pickle when it comes to shows. Of course, there’s always sidesaddle, but it’s not so freely available. True, I hadn’t thought about that. Most teenage girls I teach arrive in see through leggings. I’m sure it must be as painful as riding in shorts! Sidesaddle is making a comeback in the UK but is still very expensive.